Elizabeth Wilson on DARK SHADOWS, 1966. 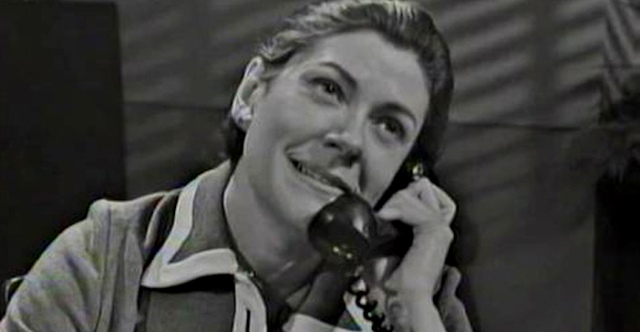 While you might not recognize her name, Elizabeth Wilson had the kind of career that would make any actor envious. Wilson's earliest credits date back to the 1950s with the production of PICNIC, a play that also doubled as Paul Newman's Broadway debut. Her final role was 2012's HYDE PARK ON HUDSON opposite Bill Murray. 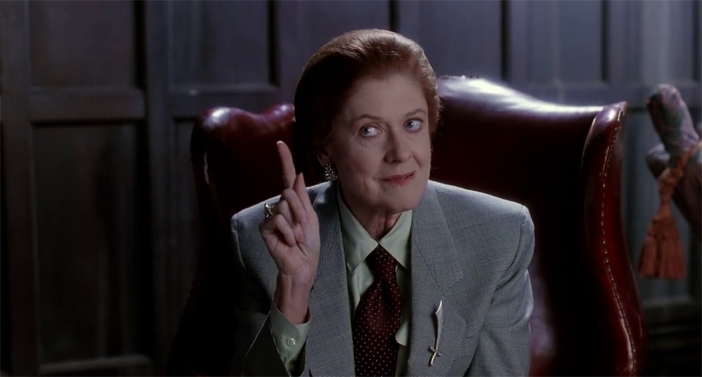 In between those years, Wilson stayed quite active, working with a diverse roster of directors that included Mike Nichols, Alfred Hitchcock, Barry Sonnenfeld and Joel Schumacher. Among her many roles was that of the administrator at Victoria Winters' oft mentioned "foundling home" on DARK SHADOWS. She appeared twice on the series during its first month in 1966, including its pilot episode. Her connection with the show's cast doesn't end there, though. You could play Six Degrees of Separation with Wilson and DARK SHADOWS and have several degrees left over. In 1972, she won a Tony Award for her work in STICKS AND BONES, in which she played David Selby's mother. She played the wife of Barnard Hughes in the short-lived sitcom DOC (Hughes played one of Burke Devlin's cronies in an early episode of DARK SHADOWS). Wilson also appeared opposite Lara Parker's college roommate, Jane Fonda, in 9 TO 5. 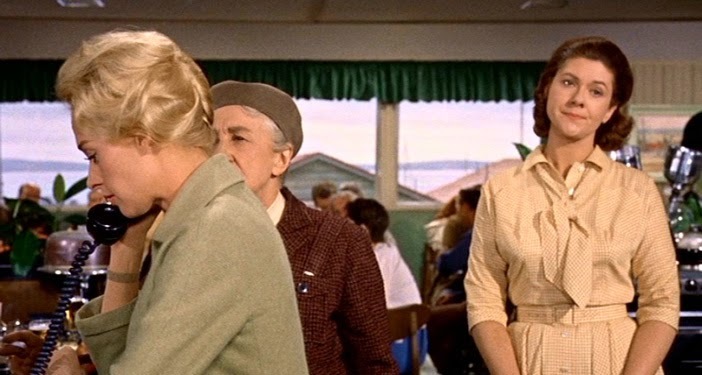 Tippi Hedren and Wilson in THE BIRDS, 1963. I flew from New York City to California— towards the end of the flight, some birds smashed the co-pilot's side of the windshield; we had to land before we were scheduled to. A few weeks later, I was walking down the hill from my hotel in LA, looked up and I was being circled by a bird, which plunged into my back. I went to the set the next day and told "Mr. Hitchcock." He said, "I'm not at all surprised." He was a star director. For more on Wilson’s life, head to the New York Times.